The Red Baron?s Tri Plane is an Iconic German fighter from World War I. 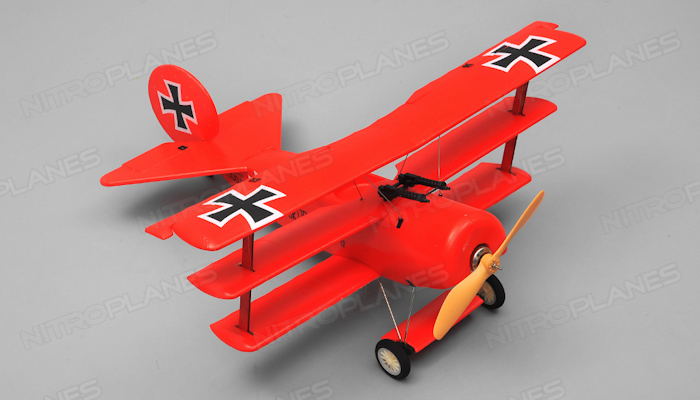 Known for its extreme agility and handling characteristics it helped the Red Baron earn his title of Ace Fighter Pilot. 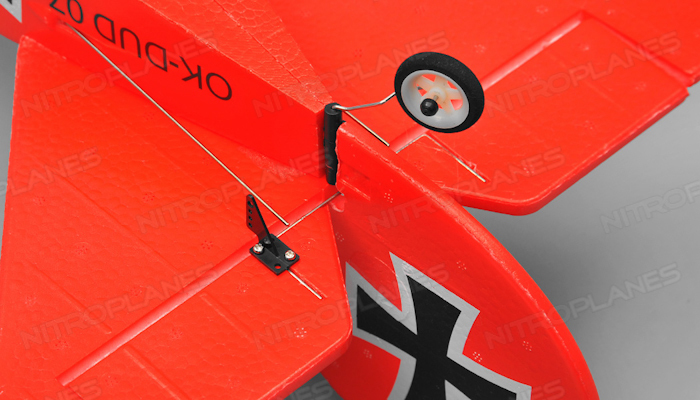 The first things you?ll notice about a tri-plane is that its ability to change direction quickly. 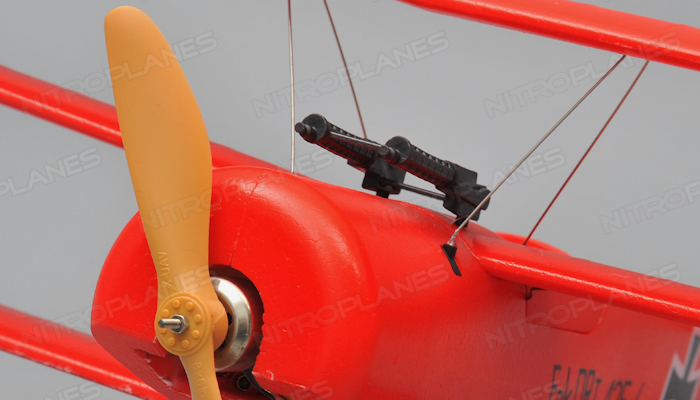 Its nimble, quick, and responsive characteristics allow it to perform a variety of wicked maneuvers. 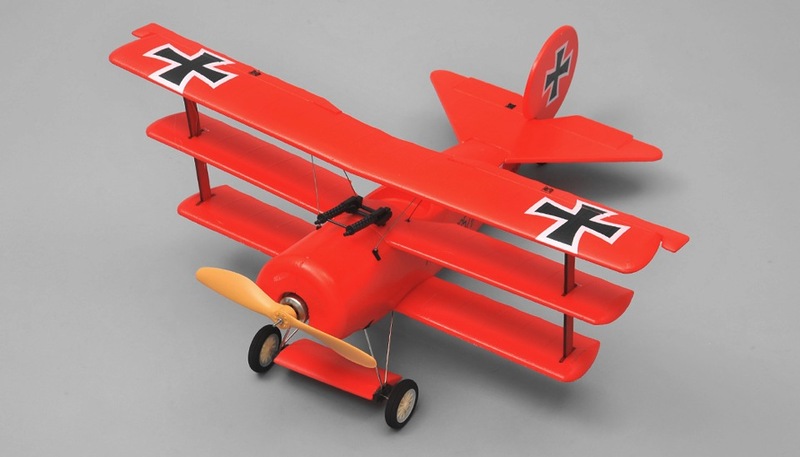 The best way to describe this plane is that it is fun after the first few frightening moments when your getting used to how a tri-plane handles. Once you overcome that threshold its hours of fun! 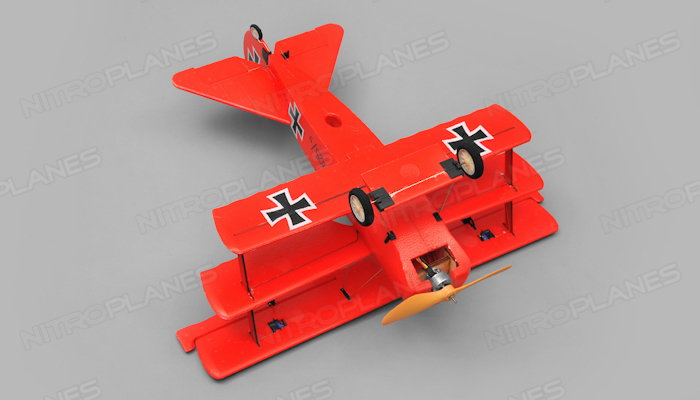 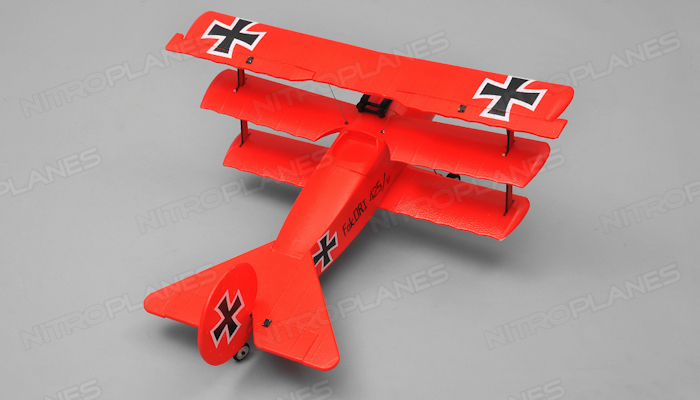 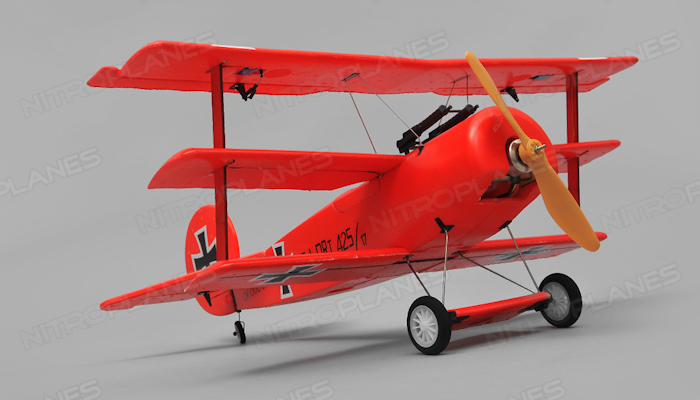 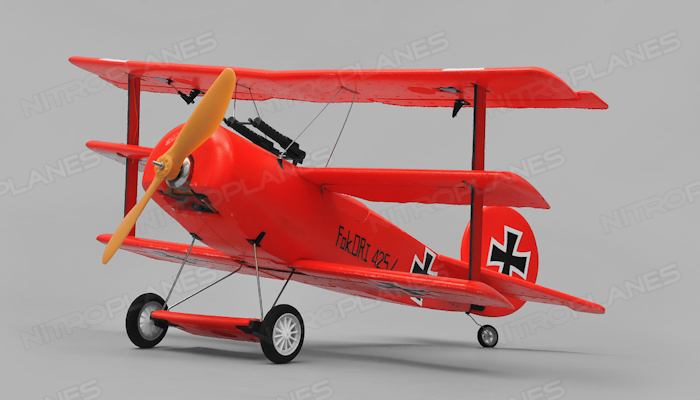 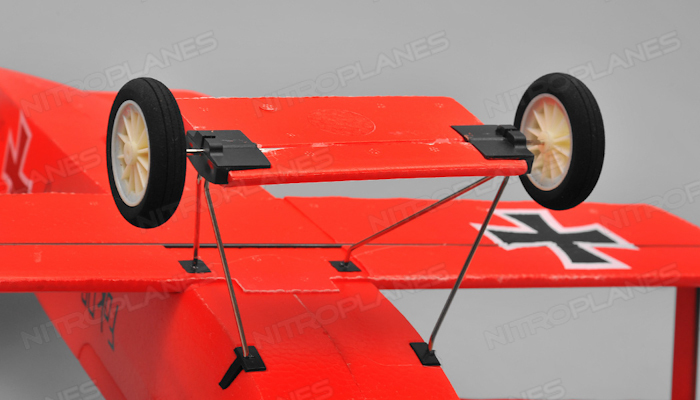 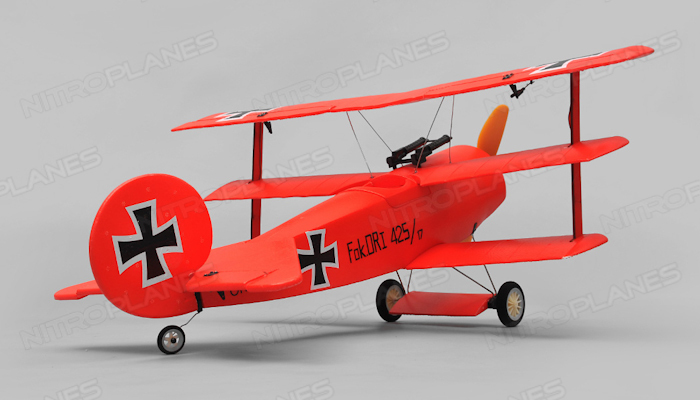 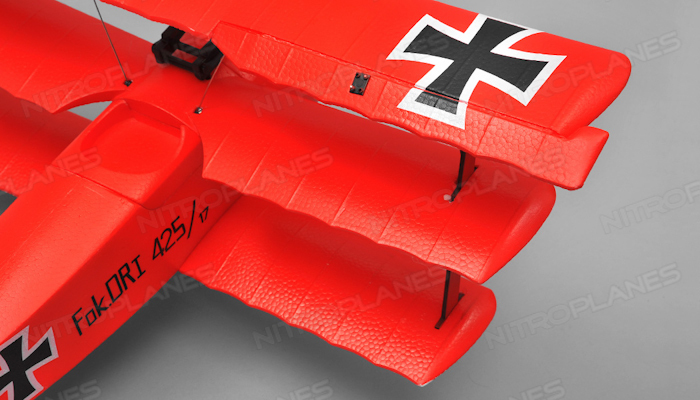 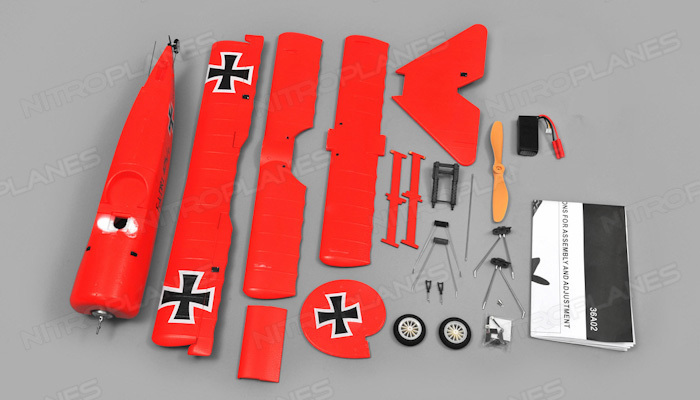 The AirWing Red Baron is an awesome representation of the Baron?s fighter plane. 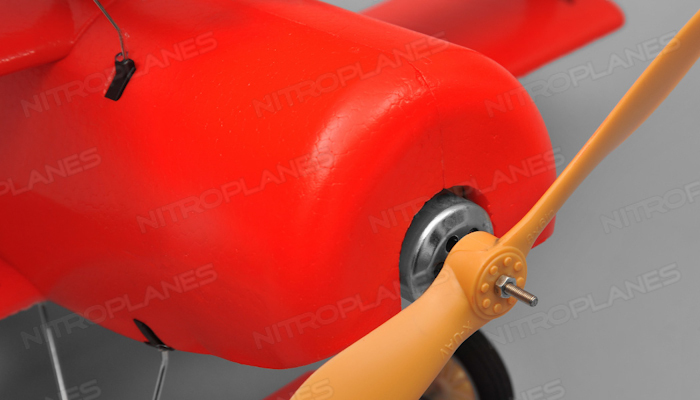 Constructed of EPO foam it is light and durable. 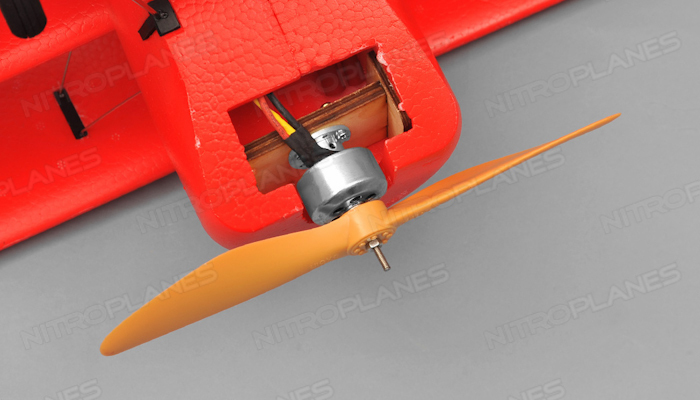 The power plant is a strong brushless outrunner motor supported by a 20A brushless electronic speed controller. 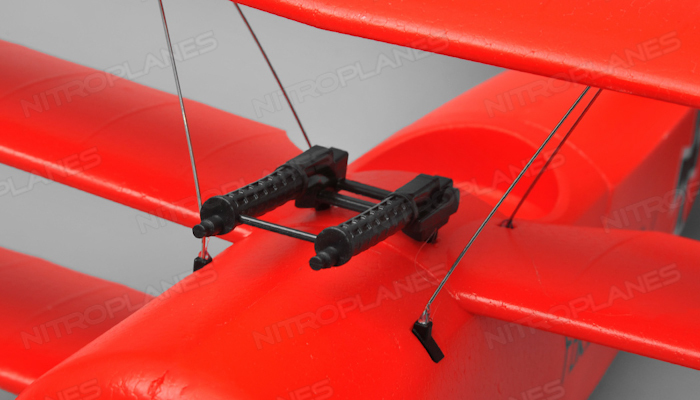 A removable hatch allows for quick and easy battery changes. 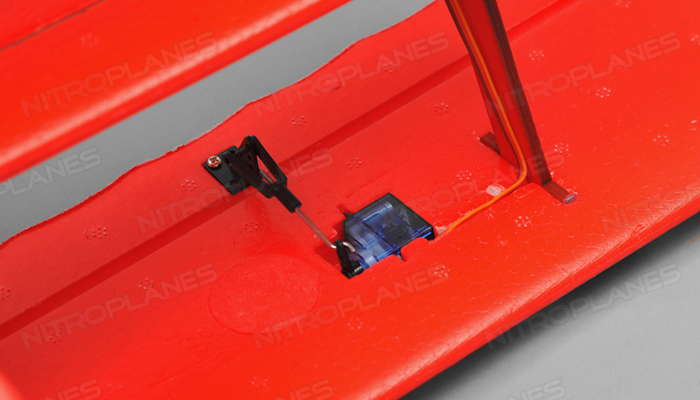 The almost ready to fly version comes with all the mentioned electronics pre-installed in the airframe. 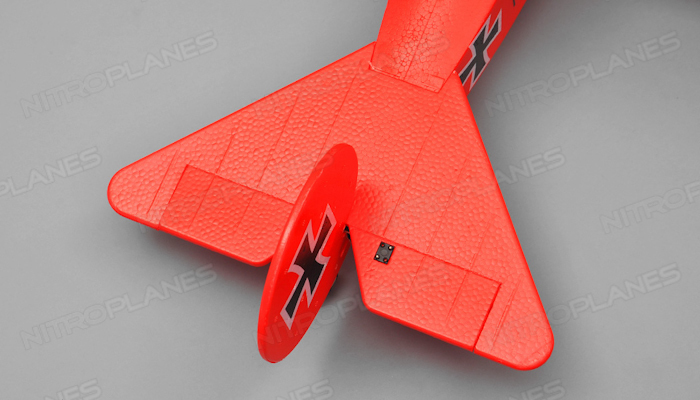 A 11.1v 1000mah battery and a radio system along with minimum building will be needed to get this plane in the air.